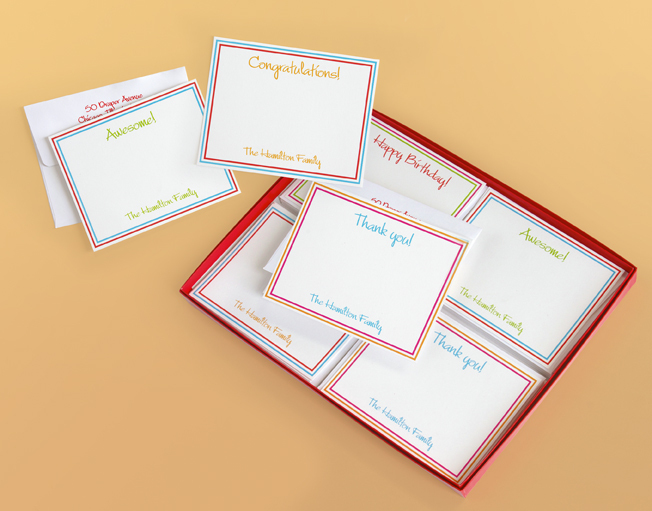 Packaged in a bright red box, this handy assortment comes with 8 each of 4 different cards, preprinted with �congratulations!,� �awesome!,� �happy birthday!� and �thank you!�. 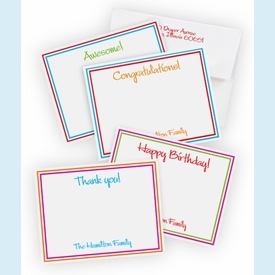 All in bright colors with your name personalized on the bottom in matching ink colors. 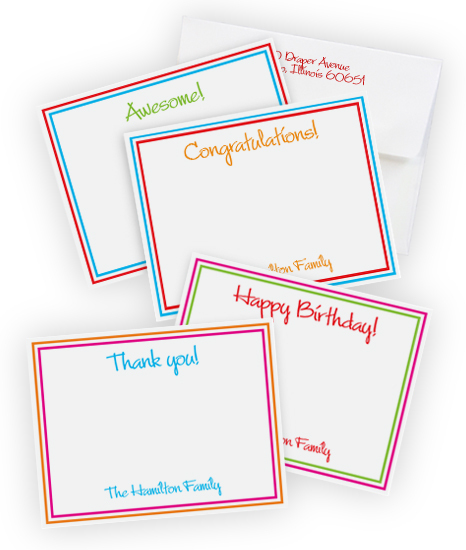 Specify one line of personalization; typestyle, format and ink colors as shown.